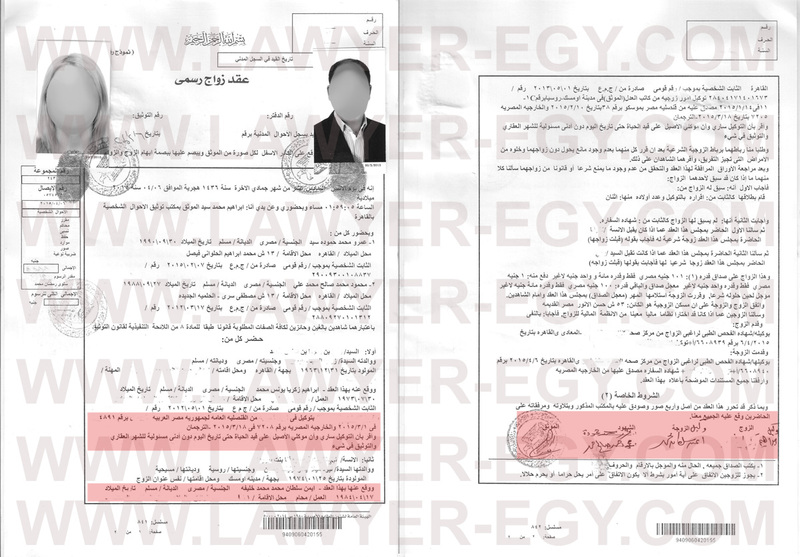 The official document of Marriage Contract for husband and wife in Egypt – it is only 600$ NOW (4800 L.E.) by a professional lawfirm. Preparing all necessary documents for work through the Embassy of side (if one of the couple is foreigner). 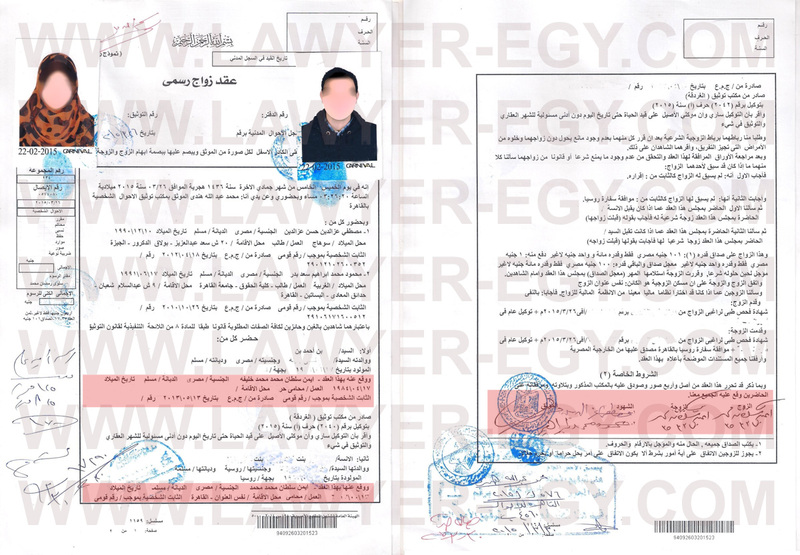 Additional consultation about any legal questions (extra rate) – every day in office El Maady, Al-Gazeer St. 4S. Call before coming!